Can your teen handle financial responsibilities? Now is a good time to ensure they're empowered to handle their own money matters later in life. While many parents believe a formal education and good healthcare are the foundations for any child’s bright future, that doesn’t go far enough. Young people also need to be empowered with solid financial health management skills. That’s the view of Salem Dyafta, consumer band manager at TransUnion, who points out that very few people in today’s world won't require credit at some point in their lives – to purchase a house or a car; have the convenience (and security) of a credit card or a store account; or even to pay for their tertiary education. “Young people need to be educated to achieve this. They need to learn from an early age how to prioritise their spending, and manage credit so as to make it work effectively for them, rather than plunge them into a debt trap,” she said. While at primary school, children should be encouraged to manage pocket money. Should they ask for an advance or a ‘loan’, parents should help them to work out a reasonable ‘repayment’ plan, and then ensure they stick to it. “This will help to instil the all-important habit of paying the correct amount owing on their accounts on time, every time – a trait that will be absolutely essential when they grow up and need to maintain a good credit profile,” she explained. As soon as a child is old enough – and certainly once he or she turns 18 – they should be encouraged to start building a good credit profile. Most credit providers – banks, stores and service providers – check an applicant’s credit report before deciding whether or not to give them the credit they want. Without a solid credit profile that reflects good credit behaviour, a provider may not grant credit, or may limit the applicant to a far lower amount than required and at less favourable conditions, such as a higher interest rate. “Therefore, the sooner one starts building a good credit profile, the better,” Dyafta said. However, young people should not to go out and amass as much credit as they can – particularly if they are not going to be able to repay it as set out in the credit agreement. They should rather apply for credit judiciously, and use it wisely. Apply for a store card with a low credit limit. Always try to keep the balance on the card below 30% of the limit. Ensure the correct amount owing is paid on time and in full every month – don’t skip a month with the intention of making up the shortfall next month. Even this will reflect negatively on your credit report. Having become credit-active, obtain your free credit report from a credit bureau such as TransUnion to ensure your report reflects your payment history and behaviour accurately. Every consumer is entitled to one free credit report from each of the credit bureaus, once every 12 months. Press release supplied by TransUnion. 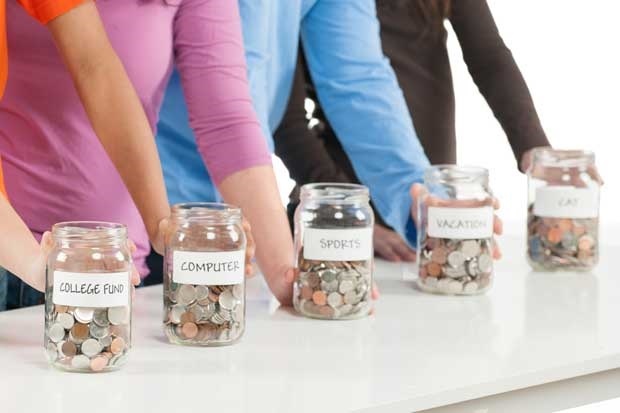 Have you taught your children to manage their funds wisely? Email chatback@parent24.com if you have any advice or tips you would like to share.